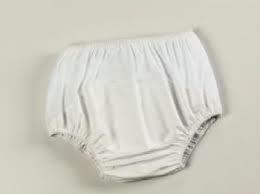 The Quik-Sorb Reusable Incontinent Pants are incontinence pants designed for use by individuals with incontinence. 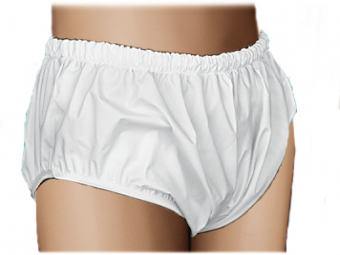 Both styles made of soft medical-grade vinyl and are completely waterproof and machine washable. Model C6000 is a pull-on with elasticized waist and legs. Model C6001 has snap closures up one side from the leg to the waist. SIZES: Both styles come in small, medium, large, and extra large.